All of us associated with MAYSA would like to congratulate former travel player and Mercer Area High School player Matt Juergens on being named the 2014 District-10, Region-1A high school player of the year! As a graduating senior this year, Matt, will be heading to college next fall to pursue interests in Computer Science and Engineering. Also, Matt plans to play soccer at the college level. Congratulations Matt! and represent us with excellence. MAYSA's U18, U14 and U 11 teams participated in the Edinboro's Annual Open Tournament. Two great weekends of soccer! MAYSA had three teams participate during this June's tournament. MAYSA's U18 Team made it to the finals for the second year in a row! In 2012 MAYSA won 1-0 in overtime. This year Deer Lakes won 1-0, again in overtime! MAYSA's U11 Team was 2-0-1, making it to the semi-finals! Mercer Boys win 2012 District 10 Championship! 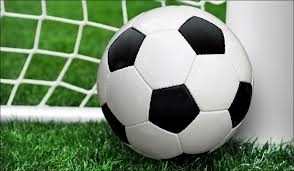 The MAYSA family would like to congratulate the Mercer High School boys soccer team on winning the District 10 Championship 2012! It has been wonderful to watch all of you grow as young men and soccer players as you participated on the MAYSA teams throughout the years. MAYSA had several players competing on Classic teams in western PA for the 2012/13 season. We are proud of our players, coaches and referees who go out in to the greater soccer community and represent us with excellence. Although many think of MAYSA solely as a soccer program, MAYSA also mentors youth as part of its Youth Referee Program. This year Julia Weller and Nick Sharr have been selected as PA West Youth Soccer Association's "Youth Referees Of The Year". Both were nominated for the achievements on and off the field and selected from over 2,000 youth referees in Western PA! 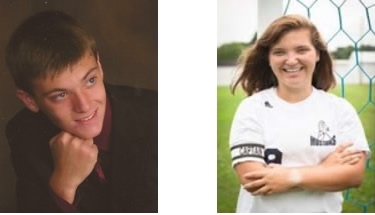 Julia and Nick are both accomplished in academics as well as community service while also achieving successful careers for their respective high school can club teams. The criteria for selection includes personal development, promotion of the game and community involvement. We are very proud of their achievement and look forward to seeing them advance their referee skills through college and into their adult lives. Congratulations to the Mercer U17 boys for their 1st place win at the 2012 Edinboro Tournament!